WILLEMSTAD - CHATA held its annual year opening event in which it welcomed the New Year together with its members and partners. This event took place at CHATA member Licores Maduro. This year, CHATA took the opportunity to share its message for 2017, elect a new board of directors and officially thanked Past President & CEO, Ms. Lizanne Dindial for her time at CHATA. CHATA aims to continue to remain focused on the priorities and focus on our membership where Transparency and communication are key! CHATA concluded that the year 2016 was a year of self reflection and overcoming challenges. It was a year that led to structural changes in our association which at the end should serve as a solid foundation for the next couple of years. The aim is for the recent changes to be reflected in our membership, with a stronger participation and involvement of all members and stakeholders. With millions invested on the island of Curaçao (600 Million guilders invested in room inventory), the private tourism sector should take giants steps forward #together. The Return on investment (For Every 3 cents invested in tourism, we get 1 guilder back in Curaçao) of Tourism for the island of Curaçao is greater then any other business opportunity. 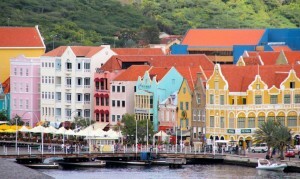 Tourism is the best, if not the only quick win to stimulate economic development for the island of Curaçao. CHATA would like to thank outgoing Board member and Past Chairman of CHATA, Mr. Will Vogels from Lions Dive Curacao, Board Member Irene Ferreira from Trupial Inn, Eduardo Reple from Marriott Curaçao, Kenneth Canword from Orco Bank and Wilhelmus Ignacio from Curaçao Airport Holding for their dedication and commitment shown in the CHATA board. CHATA is convinced that the newly appointed board of directors will continue with the mission and vision of CHATA and contribute to the development of a sustainable tourism industry with a strong focus on public and private partnership.